You may have heard that Facebook is changing the way it displays news and other content in your feeds. The changes are rolling out gradually, and your news feed might already be affected. 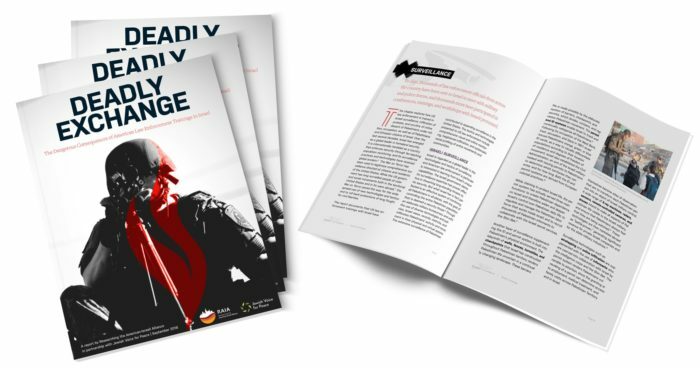 As a grassroots organization that uses people power to raise awareness and make change, this could have a huge impact on Jewish Voice for Peace’s work. Many Jewish Voice for Peace supporters are telling us that they no longer see our Facebook posts. Even if you “like” our Facebook page, (you do, right?) you may be seeing fewer of our photos, videos, stories, and campaigns. To make sure you see posts from our page, select “See First” under the Following button at the top of that Page on desktop or mobile. Tap/click “Follow” or “Following” (depending on if you’ve already liked our page). Then tap the “See First” option. That’s it! Now you’ll see JVP news and actions in your news feed. 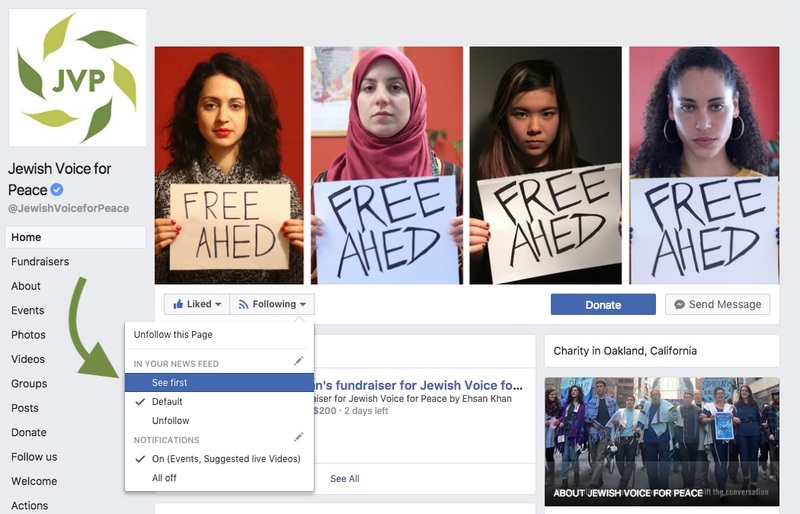 Choose the “See First” option to make sure JVP isn’t censored from your news feed.